Last year, I spoke at TribalScale’s TakeOver Innovation Conference. This year, I am excited to be on the other side of the bench! 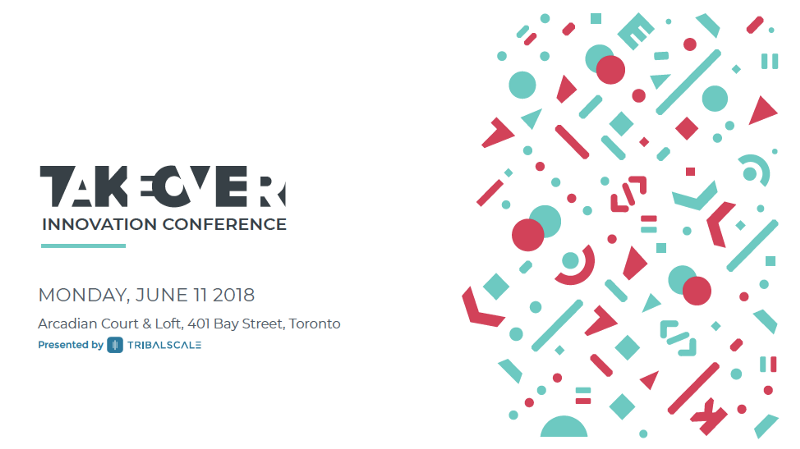 I am pleased to share that TribalScale is hosting its second annual TakeOver Innovation Conference on Monday, June 11th at the Arcadian Court in Toronto. New date, new look, same one-day amazing conference! Last year, TakeOver showcased emerging technologies, how they reshape our world, and how businesses can leverage tech to drive innovation. TakeOver’s content was outstanding — with 21 sessions, 8 spotlight chats, 10 panels, 2 lightning talks, and a workshop, how could it not be? 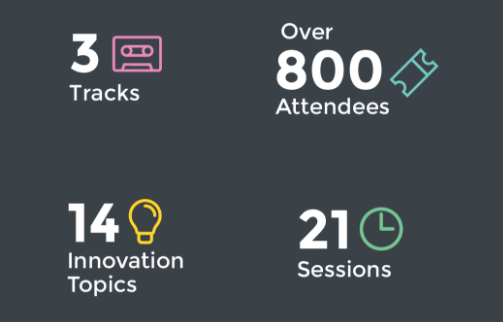 Beyond the incredible programming, TribalScale reinforced a vital aspect of innovation by creating a conference with a diverse culture and environment. The value and need for gender inclusivity in tech and business (and beyond!) is well-known, but few seem to be going beyond the talk track. From the outset, Sheetal Jaitly explicitly mandated a 50/50 gender balance in conference speakers. As usual, the TribalScale team surpassed their target, showing a real commitment to diversity, women’s leadership, and empowerment from the top. This year we’re taking an even more expansive approach to diversity and inclusion at TakeOver. We know it’s important to go beyond the numbers and beyond gender — and we will. We are collaborating with the industry’s vast talent pool to create a fully diverse and inclusive conference. At TribalScale, we believe that it is only through new and varied perspectives that true and sustained innovation can work. So we will integrate content that will focus on practical solutions that industries can use today to attract the right talent, and make sure traditional understandings of ‘work’, ‘innovation’, and ‘leadership’ are disrupted to reflect today’s realities. This is the TribalScale approach, and the effect is powerful. Innovation is used everywhere and in so many ways that it feels like it has almost become void of impact. So at TakeOver 2018 we are going to unpack “innovation.” And ask the real questions — What does it mean to innovate? What does innovation look like? How can we innovate for long-term betterment? We at TribalScale believe innovation is a mindset and a process. It is about adopting new business models, technologies, and accepting change to adapt for the future. It means being open to new ideas and being challenged through non-stop learning. At TakeOver 2018 we will cover everything from new models of philanthropy, blockchain in practice, to disruption in the media and entertainment space, and so much more. With hundreds of global leaders and experts in attendance, we will discover how tech, new business models, and workplace processes are disrupting and shaping our industries. The TribalScale team has been working with industry leaders, brainstorming, developing, and refining TakeOver 2018 Programming. External and internal input is so valuable and helps us ensure we cover the real issues facing businesses across verticals. Regardless of industry, innovation is a driver, and your team will benefit from the well-crafted programming at TakeOver. Aside from the lively discussion and informative panels, TakeOver 2018’s 3rd track will be a hands-on workshop stream that covers the more intimate, real-life use-cases for innovation. For example, we will have a session on the importance, and how-to’s, of creating a work culture that attracts and retains top talent. TakeOver participants will also have the chance to hear personally from top executives on their major learnings and hurdles to success. Together, we will share our own varied experiences with innovation, and together we will learn and grow. 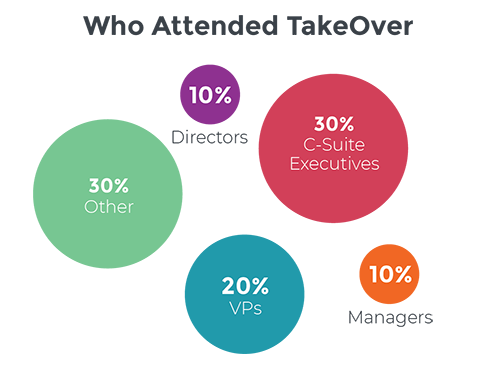 TakeOver will have designated speed-networking opportunities, recruitment sessions, and so much more. Based on my experience last year, TakeOver is a highly energetic, informative, and boundary-pushing event, and this year’s edition promises a new lens on our shared challenges and opportunities today. I hope to see you there! 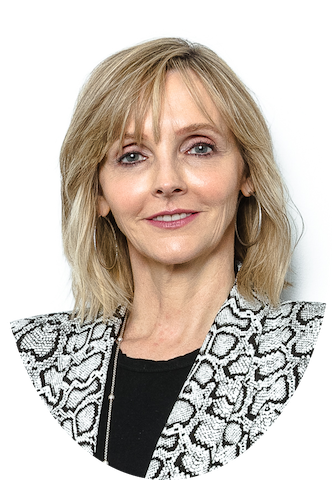 Kirstine Stewart is TribalScale’s President and Chief Revenue Officer. She leads TribalScale’s operations, revenue, and sales strategies, while actively fostering collaboration and innovation amongst the team, and with its partners in mobile, AI, and voice tech. Kirstine brings revolutionary and diverse ideas to TribalScale, contributes to our leadership thinking, and inspires at all levels of the organization. Join our fast growing Tribe and connect with us on Twitter, LinkedIn & Facebook! Learn more about us on our website.